Creating a Jordan III Retro is as easy as it gets these days. 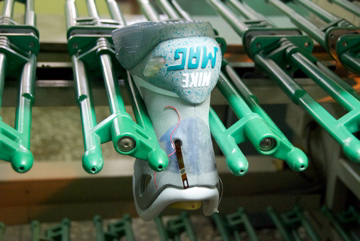 Creating the Air Mag from scratch, however, took around six full years. We've gone in-depth about why some of your favorite vintage sneakers probably won't get retroed. 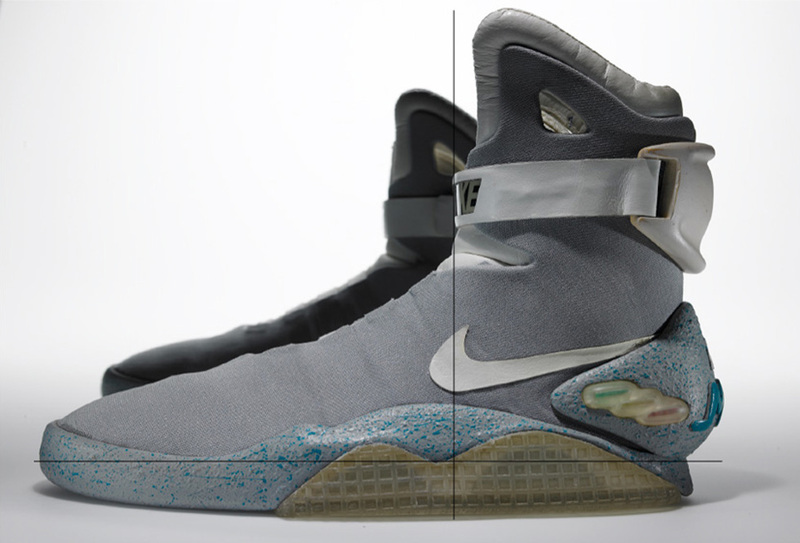 The Air Mag sure seems like it would be included on that list of kicks not to be brought back, but as we all know, it did finally happen back in the September of 2011. It wasn’t an easy task, but thanks to a team at Nike led by designer Tinker Hatfield and developer Tiffany Beers, it not only became a reality, it helped raise millions of dollars for charity. Back in late 2011, we talked with Tinker and Tiffany about just how challenging of a process this was. While they were able to make the shoe a reality once again, it will help illustrate why it’s not always possible to bring back every shoe you’d like to see return. 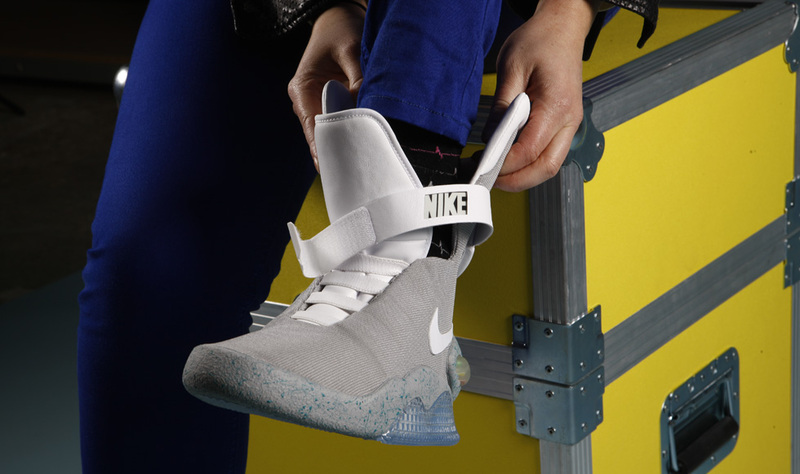 Nevertheless, the question on every sneakerhead's mind remains: will we see a power-lacing version of the Air MAG release on October 21, 2015? For now, let's take a look back at the process behind the first retro. Nick DePaula: When were you first approached about being involved in the project? Tiffany Beers: I was first approached around October of 2005. I was just having a one-on-one with Tinker, and I was new in the group. I was chatting with him about how the company works, and so on and so forth, and shortly after that he approached me and said “Hey, do you want to work on a project?” I said, “What is it?” and he told me, “Lets re-make this Back to the Future shoe. There’re petitions and things, and people want this shoe.” So I said “OK, let me check into it,” because I didn’t work for him at the time. I went around and asked my manager and a few other folks, and they said to never say “no” to Tinker. [laughs] So, then I looked into what it was, and we kind of just started from there. NDP: How long had you been at Nike at that point, and what were some of the other things you’d already worked on? TB: I was only in the Kitchen for a couple months at that point. I had worked at Nike IHM [In-House Manufacturing] designing and developing Air bags. I designed the Air bag that’s in the Air Max Moto, which is the first articulated Air bag. And then I did the removable heel Zoom bag in the Air Jordan XX2 and got a patent on that one. So, I was relatively new at Nike. NDP: Why do you think he approached you and knew you were the right person for this project? TB: I have no idea. He might have just thought I was fresh meat. [laughs] I don’t think we knew what we were getting into, either, when we started. I know that when he asked, I thought they would have records and that I’d just need to ask someone for them. I didn’t really even know how to make shoes back then. And they had nothing, [laughs] so I was starting from scratch. NDP: Were you already familiar with the movie and how much that shoe meant to people? NDP: What was the first big step that really got the ball rolling? And was there anyone else that had to get involved at that point? Or was it really just the two of you? TB: It was just us two. He was adamant from the beginning about keeping it a secret and keeping it quiet. He wanted to figure out what we had and just get going. I looked to some of the other members of the Kitchen that had been at Nike for a while and asked where they’d start. There was literally no information left from the original. The people that worked on the original ­– besides Tinker, Mark Parker, and a few others – weren’t even around anymore. We were really starting from square one. Zac Dubasik: Was there any initial timeline that you set as a goal, or was it just exploratory at that point? NDP: As you got going and found what was left in the archives, could you pinpoint what was there and where the gaps were? TB: Literally, all we had was the shoe from Archives, and we knew there was a shoe in Mark Parker’s office. And once I had a chance to look at both of those, they were very different. Mark Parker’s was a prototype, so it was a little different. 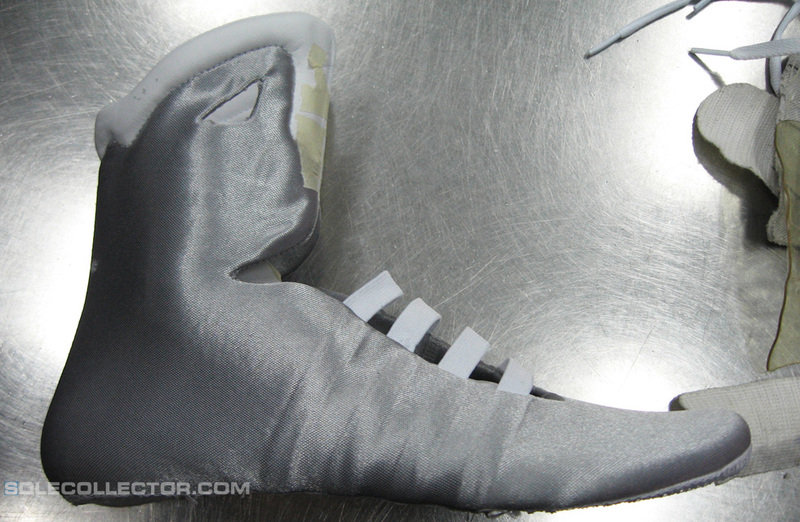 And we had to look at the shoe from DNA in a Ziploc bag, with white gloves. We weren’t allowed to touch it. So we had to look at it in this bag and had to try to figure out how they did this and how it was made. If you want a replica, you might as well make it how they originally did, or see if we can improve on that a little bit. So we had to start totally from square one. I didn’t even start worrying about the electronics. I didn’t know how we were going to do that, and we didn’t know for sure if we could even fit it in the shoe. We didn’t know what that element was going to look like, so we started with the shaping of the shoe. You can see the malleolus, which is the anklebone on the outside, and it’s just a very thin layer of foam with basically a layer of spandex-type material over top. We just started replicating that to see if we could make that shape that looks more like a real foot. We trialed that for months to try to get it right. It was really hard in the fact that you can put those shapes in at the factory, but those shoes still have to travel all the way here. Every single piece of that shoe – we labored over it and obsessed over it for weeks to months. Another part was how to make a collar where the little holes are; we call them ears. We tried so many different things, and finally got to the point where we thought we could repeat it in manufacturing. In the beginning, we didn’t know how many of these were we going to make. Who knew? Were we going to make 10, or were we going to make 1,000s. NDP: Were you doing all that work here in the U.S., or did you have to make trips to the factories? TB: My first trip to Asia with Nike was to work on this shoe. I went over by myself and stayed two weeks. I met all the folks at the factory, and we just started working on the shoe. I would go over probably every four months. As soon as a shoe was ready to be assembled and put together, I would go over so that we could make them, I could review them, make any changes, and it would just facilitate that much quicker. Otherwise you have to communicate through email and stuff, and it can take several days and into weeks to get my point across. We had video conference programs then, but not as HD as they are today. That would have helped a lot. NDP: How involved was Tinker along the way at that point? Were there any checkpoints that you were making or missing? TB: Tinker was involved, but I was still nervous to talk to him at the time [laughs], so I’d make sure my questions were really important before I’d approach him, because he’s so busy and everything. I was quite shy about it. But every time we’d made any progress with anything, I’d take it to him and show it to him. It was the first time I’d worked with him, so I wasn’t sure how he liked to work. And after a while, we figured it out. I had less and less checkpoints with him as we went, because he was adamant that it look like the original shoe. I had that original from Archives in my keeping for years and just worked on copying that. NDP: How hard was figuring out and sourcing the upper material? TB: We thought it was just a spandex material, because we couldn’t take the original apart. But we noticed that on the original, the inside was shinier than the outside. They were using the back side of a spandex instead of the normal side. We built samples and we found something that we thought was close. We didn’t know how close we needed to be. It was probably after three years into the process that we were showing it to Mark Parker and he noticed a subtle difference in the fiber weave of the upper material. I was blown away that he was focused on that much detail. So, we went back to the original and took high-resolution images of the exact weave of the material, and we went out to six or seven fabric vendors and asked them to make it for us. Then, once we got the fabric right, we tried to get the color to match, and that was excruciating. The original shoe had yellowed, and it was old, and it had dirt on it, so what was the original color? We didn’t know, so we tried to match it as close as we could. We drove the vendors crazy and spent months and months adjusting the color of that grey. And then in the end, we ended up adding a water repellant to it to protect the shoe, since it had electronics on there, which slightly changed the color. Then we started down that path again and needed to go back and adjust the colors. But we said “hold on,” and took some folks at Nike that weren’t so involved in the project and asked if they could tell the difference, and they validated it for us. NDP: The midsole was another huge component to re-create. Could you talk about that and how the paint splatter was done? TB: It was a couple years into the process, and we had been spray painting them at the factory, just trying and trying it. But the first challenge was just getting the color right. Then we would take the original shoe and notice how it was splattered. There’re very subtle differences in splatter. There’s a dot of splatter with a different length tail, or different shaped tail. We were really focusing on that, and then underneath that, there’s a texture on the original. It’s kind of bumpy, almost like a moon-type surface. First we had to replicate that. We analyzed textures and did etchings into the mold to try and get the texture right. I remember looking at midsole after midsole after midsole and then finally just having to make a call. A lot of these things I would normally go to Tinker with, but when you are at the factory, you have to make a call sometimes. And once we got the texture, that helped a lot because prior to having a texture, the paint never looked right. The whole time we were thinking, “How is it repeatable? How can we do this over and over so that they look similar?” I remember taking it back to Tinker and telling him we were really struggling with this paint and asking how they did it originally. And he goes, “Oh, that’s Zolatone.” What the heck is Zolatone? [laughs] I had no clue what it was, so he described it, and I found it online in the same original color. We got a couple cans of it, and I sent it to the factory and told them to use it. And they couldn’t get it to replicate. It just wasn’t working. There’s a particular paint you have to use on the foam of the midsole to get it to adhere properly. We ended up going back to splatter paint and just kept trialing and trialing until they got a system down to where it was really similar to the original. And you’ll even notice now, pair to pair, that it’s slightly different. We had people working on this and hand painting it, so each individual pair is just slightly different. It’s a cool thing, versus having it be exactly the same. NDP: How hard was molding the heel counter to wrap around? 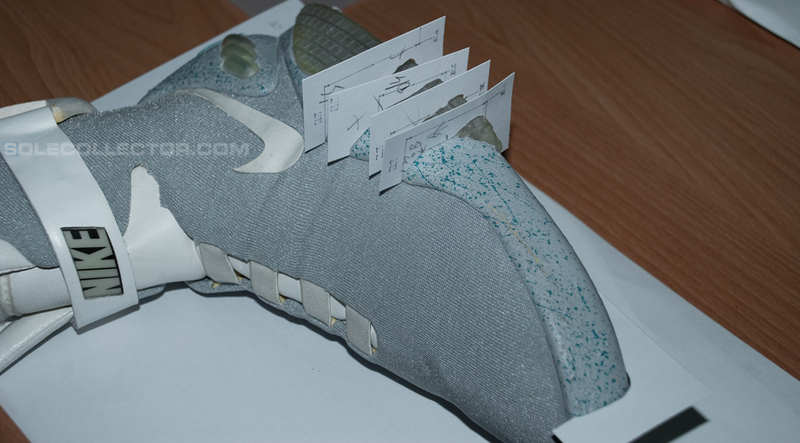 TB: In the whole shoe, we had the original and actually took a high-res 3D scan of it. 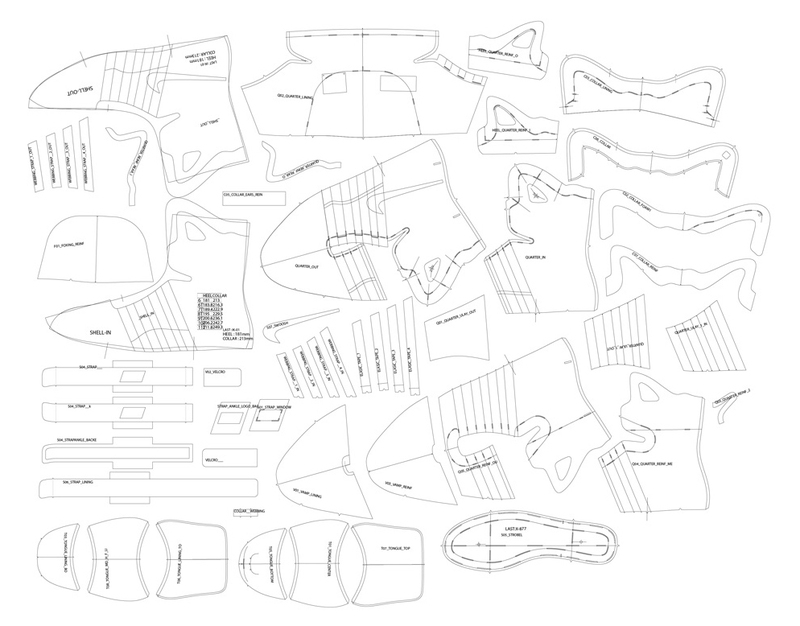 We analyzed that basically to create the midsole shapes. That, at times, wasn’t exact enough. There were flaws in that because the original shoe had deformed a little bit over time. We had someone measure the shoe – the heights of everything with many, many checkpoints – hundreds and hundreds of measurements all over the shoe to validate our scan. We took both of those to create all those 3D parts. I took both of those, and the original shoe, and flew to Asia. We had built the shoe several times at this point, and we weren’t close enough. Every time we’d review with Mark Parker and Tinker, they’d find things that were a little bit off, so we would keep starting over and dialing these things in. At this point, we were really close and thought we were right on. And we just weren’t close enough; they wanted an exact replica. So, I flew over and stayed there for a month, with all these measurements, with the 3D scan and the original shoe. We had tried with just the scan; we had tried with just the measurements. But we hadn’t taken the shoe over. We didn’t want to ship it over because we wanted to make sure it was secure and not lost. We knew the value of these was too much. And I basically sat with the 3D guys and we printed out paper measuring tools and we were constantly measuring everything. They would do the 3D, it would print out a RP, which is a rapid prototype, and we would measure it and hold it up to the original. This went on for 28 days. It was mind numbing by the end of it, but we were so happy with how it turned out. In some areas we had to make modifications so that it was more wearable. The original wasn’t exactly ideal for everyday wear, so we had to trim some places. We were splitting hairs of one-quarter of millimeters. If the original measured at 4.25 millimeters, and we were at 4, we’d try to get it there. We weren’t able to be 100 percent precise, but we are only off by a quarter of a half millimeter in most areas. We analyzed it and obsessed over it for a long time. We did that with the midsole, both of the rubber pieces – the heel cup and ankle cup, the strap – pretty much anything that’s molded. NDP: At what point in the whole process did that 28-day trip happen? TB: That was in 2009. NDP: Backing up to ’07 or ’08, how many people knew by that point? TB: A handful. Under 10 people. It was very, very quiet. NDP: Did your family ever ask what you were up to on all these trips? NDP: At what point did you start to work on the electronics element of the shoe? TB: The electronics were a whole different level. 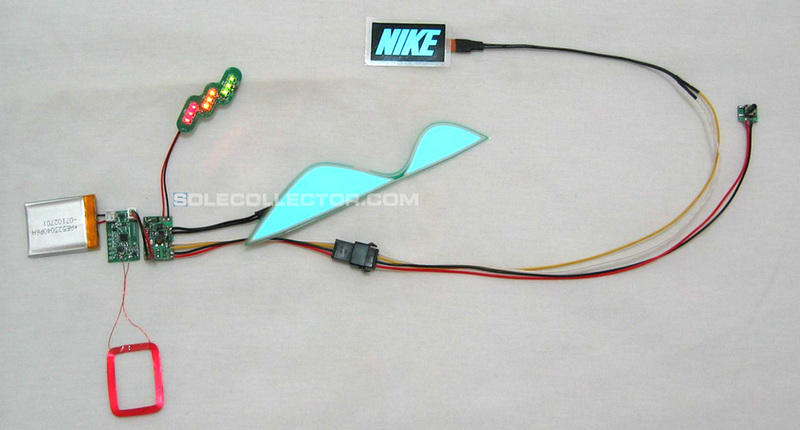 We started with the original shape of the shoe and upper first, and then we started with the electronics. I remember going to some people in our vision and timing group, and saying, “These are what the electronics are now. How do I shrink this down and put it in a shoe?” I knew nothing about electronics when I started this. And they said that I had two rectangular batteries in there, and I'd have to charge and fill this whole thing. And we have these inverters. One of the lights was an EL light, which is electroluminescent. We immediately wanted to replace that with LEDs, but Mark Parker put the “No!” on that. He wanted the original. 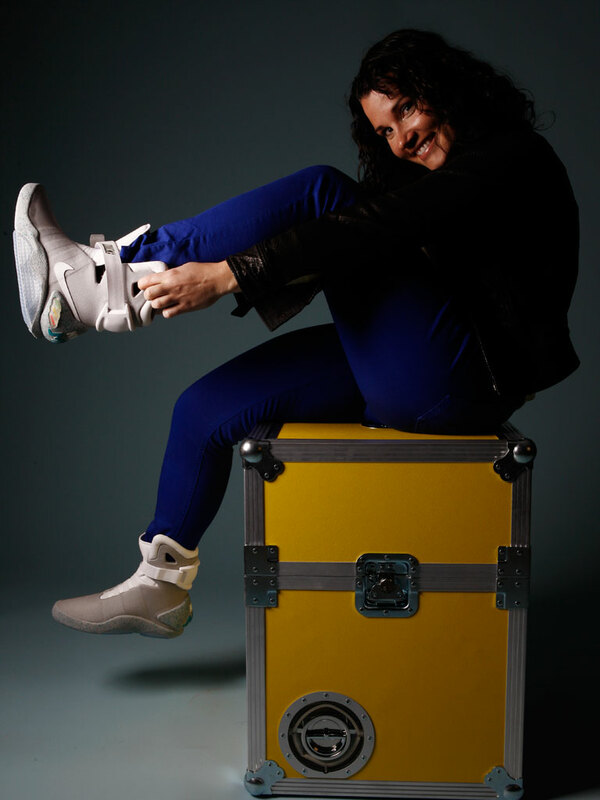 When that shoe was made, EL had maybe just come out, so it was very inventive that they used EL in the first place. He wanted to make sure it was still in this. But EL takes a large inverter to convert the voltage for it. So that was where we were getting stopped up at first. In the original, it’s like an inch square. It’s really big, and there’s no room in the shoe at all to put that. It was a long iterative process in learning and working with vendors, and the secrecy there was also critical and emphasized daily. We just slowly found components that would work and fit. We engineered one system, we would weartest it, and it would break. So, we’d engineer a new system, we’d weartest it, and it would break. And each time we were having to make adjustments to the shoe because how you integrate the system in changed every single time. At one point we had a system that was working fairly OK, but it wasn’t waterproof enough. We had to go back and redesign more, encapsulating the batteries, and so on and so forth, so that it was completely waterproof. NDP: Could you talk about the weartesting and the specific things you needed to test for? TB: Our primary goal in the weartesting was that the lights had to work for a certain amount of time. We felt strongly that the shoe would be durable enough – that wasn’t going to be the issue. 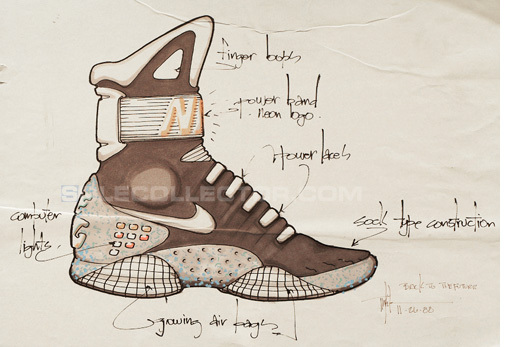 When Tinker designed this, he was so far ahead of his time – he was pushing the limit on everything. With things like the bonding margins; it really is an out-there product for even today. We struggled building it because his design was so advanced. And several iterations of that happened before we even got to weartesting. Our assembly process, when you are making shoes, they are so durable. If you knew what went into them – there’s pressing, there’s bending, there’s folding, there’s twisting, and all kinds of things are happening to them to get the exact shape and fit. It’s an extremely aggressive process, and in the beginning, the electronics didn’t even make it through the assembly. 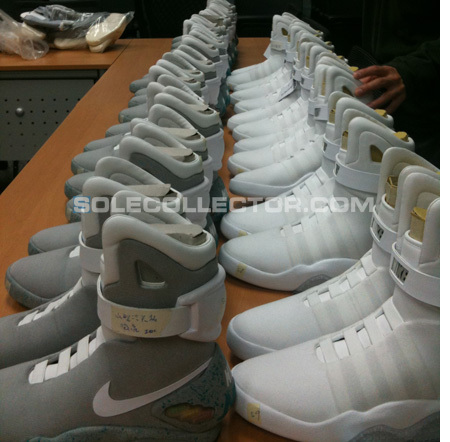 You have electronics in the upper, the strap, the midsole and the outsole – they are in every single part of that shoe. So, just getting through the assembly process – we did six or eight trials where we built full shoes and then dissected them because the lights weren’t working in order to figure out where it was failing during the assembly process. And after we got through that, then we started the weartesting rounds. Then we went through probably five to seven weartest rounds of just the size 7s that we started with, and then we built the full size run, from 7 to 13. And then we did several rounds there, also. We got up to a point where people were wearing them so long that we had to say, “OK, you can take them off. You’ve been wearing them for months now.” [laughs] We had to go to Tinker a lot during the weartesting and we really had to guess how much the consumer was going to wear these. Being a movie prop replica, and being what it was, we either knew that some people were going to try to get multiple pairs and wear them all the time, or they weren’t going to touch them at all and have them on display. NDP: Were there any scares of leaks that the shoe would get out? TB: Yeah, there were a few scares. At one point, someone put a custom-made shoe on eBay. It looked similar, and was in the likeness of this shoe, but to my eye, who had been studying this thing for years, it wasn’t even close. It was not done well at all, but as soon as it came out, legal and everyone was emailing me asking if it was one of our shoes and if it leaked. But it wasn’t a leak. There was another time where we thought one of the components had leaked, but it didn’t. NDP: Could you talk about the packaging that it came with? TB: Early on, we basically had to just create packaging for this, knowing that they would probably change it. 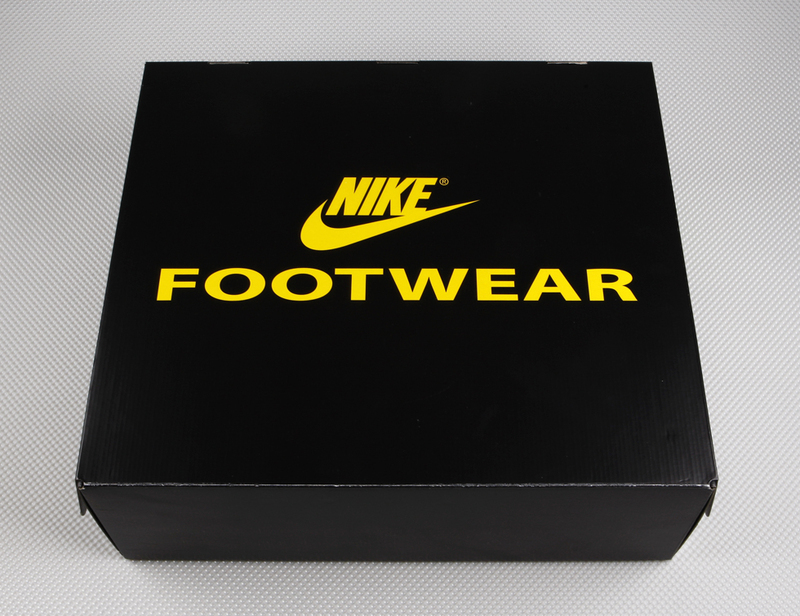 So, we had an all-black box that we used with just a very basic yellow “Nike Footwear” on it. That’s what we used internally until the majority of the packaging was finished up. Even in our own internal system, we had to keep it a secret. We used fake code names and code numbers in the system, just because we didn’t want anyone to know our exact timing and the quantity we had available. Normally a box would say, for example, “Air Force 1,” or whatever the product name was. But on this, we just put “Nike” and nothing but the size. Even the product code didn’t mean anything, and you weren’t going to find anything out if you looked that up. We were very careful about keeping it very hidden and very concealed, even through the packaging. NDP: Was the Michael J. Fox Foundation already involved at that point? TB: The Foundation was brought in much earlier. We let them know at least a year before the launch, because we needed to have their input. When you are working with a foundation, it can get complicated because of the money and things, so they had to be involved early on. Universal was also involved a little early on. But nothing in the launch plan really started to frame up until the last two or three months before they were released. And there were several meetings of, “Let’s try this, what do you think of this?��� and the team would either be for or against it. There were so many moving variables that it restricted a lot of things. A lot of it was when would the product actually be here, where would it be, what are we going to do, what’s the packaging look like? The marketing team was amazing in figuring out a way that it all worked together and all launched smoothly, and after about six years, we had made the shoe!